Of the corporate donations to the BC Liberals, the largest group among the top donors are property developers. The provincial government has jurisdiction over election rules for both the province and municipalities. Here in BC, the wild west of campaign fundraising, provincial and municipal campaign finance rules are currently among the least accountable in Canada. This has been a huge problem for decades and will not change until the province takes action. The British Columbia provincial election on May 9 brings an opportunity to raise the issue of big money in politics and campaign finance reform. Large donations and cash for access to candidates (often from vested interests) are standard practice with multi-million dollar campaigns. We are becoming the equivalent of a banana republic as globalized capital increasingly influences our governance. Having the regulators funded by those they regulate is a form of systemic corruption. Limits on individual donations and banning corporate, union and foreign contributions are standard practices in many provinces and at the federal level. But not in BC. Here, at both the provincial and municipal levels, few restrictions exist and existing rules are often ignored. The Vancouver Sun reported that, from 2005 to the first few weeks of 2017, of the corporate donations to the BC Liberals, the largest group among the top donors are property developers, with 21 of the top 50. Condo marketer Bob Rennie was the BC Liberal’s head fundraiser up to January 2017, leaving the party well funded for the May 9th election. Rennie has also been a prominent supporter and fundraiser for Vancouver’s ruling party, Vision Vancouver and Mayor Gregor Robertson. These developers include the Aquilini family at the #2 spot ($1.43 million); Adera Group ($1.1 million); Wesbild ($929,576); and Peter Wall and nephew Bruno Wall ($914,425), who own and manage Wall Financial Corp., including the Wall Centre in Vancouver where the BC Liberals held their 2013 election victory win. The top 50 list also includes Polygon, Concord Pacific, Beedie Development Group, Onni, the Redekops and Ilichs. There are also 10 natural resource companies in the top 50. The coal and metals miner Teck is at the #1 spot ($2.82 million); energy company Encana ($1.18 million); miner Goldcorp ($1.08 million); forestry company West Fraser ($990,320); and also Imperial Metals of the Mt. Polley Quesnel Lake recent mining dam disaster. The troubling part of all this is the perceived or real influence these donors may have on government policy. Cash for access to government officials or candidates are reported to be a common practice. Provincial donations are also subsidized by the taxpayer through tax credits to a maximum of $500 tax credit on a donation of $1,150 or more. So a lot of these donation totals are indirectly publically funded, but directed to the big money’s candidates of choice rather than being fairly and equitably distributed. Property developers seem to have significant influence on both civic and provincial policies. 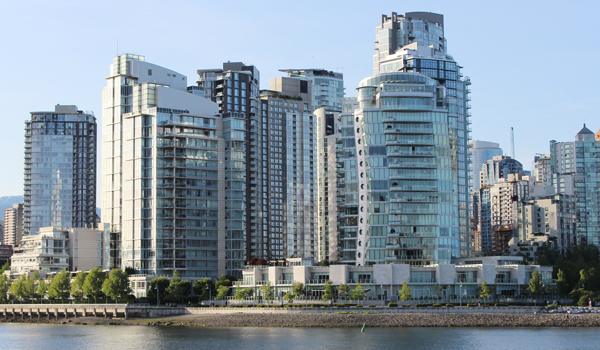 Land use policies favour dense transit-oriented large scale market development of investment luxury pre-sold condos that are often left empty. These tower developments are serviced by expensive, publically subsidized infrastructure. The real estate market has become disconnected from the local economy and this is causing the housing affordability crisis. This affects housing and affordability in a number of ways. Increased development marketed to foreign capital increases demolition of the older more affordable stock, while inflating land values through rezoning. As these new units are generally smaller and more expensive, they do not work for families. The BC Liberal’s privatizing and redevelopment of public assets through sales or long-term leases benefit big money, but are not in the public interest. Often, revenue from asset sales below market value is rushed through to balance the provincial budget. This is the equivalent to selling off one’s house below market to pay for living expenses. Examples include crown land sold off below appraised value for developments like Burke Mountain in Coquitlam; the privatization of BC Rail and the resulting corruption scandal; public schools underfunded, closed and sold off for housing developments; and social housing sold with potential for redevelopment to luxury market condos with resulting tenant displacement like Little Mountain. Mega-debt projects we don’t need and can’t afford have been approved by the BC Liberals. BC Hydro’s Site C dam bypassed the BC Utilities Commission to subsidize a non-viable LNG fracking industry. The BC Liberals accepted donations from foreign sources such as Pacific NorthWest LNG. The majority owner is Petronas, the state-owned energy company of Malaysia, which seeks to build an LNG plant in northern BC. St. Paul’s Hospital is being moved from the West End to the False Creek Flats. This will benefit developers at both ends of the move and a private district energy scheme owned by developer Ian Gillespie at the new site that burns wood. The new location is a less seismically stable site and more vulnerable to a related tsunami since the flats are low elevation and mostly industrial fill. Billionaire Jim Pattison recently announced his foundation’s donation of $75 million to St. Paul’s Hospital Foundation. Pattison was quoted in the Vancouver Sun, saying, “They approached us many years ago and you’re right, I told them I wasn’t going to put any money into renovating that old hospital.” So was this donation influential in the relocation of St. Paul’s to a new site that may now bear his name? Jim Pattison is also a major donor to the BC Liberals through his many companies. In response to investigative articles in both the New York Times and Globe and Mail, the RCMP are investigating illicit donations where lobbyists and others used their personal credit cards to donate to political parties and were later reimbursed by organizations or employers, a practice that is prohibited under the Elections Act. But whether this will result in any meaningful charges is yet to be seen, and if so, likely not until after the election. Special prosecutor David Butcher has been appointed to advise the RCMP. Butcher was also hired to manage the BC Liberals’ “Quick Wins” scandal prior to the last 2013 provincial election. A party staffer, while working for the province, conducted partisan business in a plan to win votes from ethnic groups that had been traditionally sympathetic to the NDP. Only one charge came after the election; a communications director resigned and paid a token fine of $5,000. The Globe and Mail reported that specific instances identified so far have mostly involved the BC Liberals, with nearly $93,000 in illegal donations identified from 43 contributions, compared to $10,000 in donations identified for the NDP. Watchdog groups such as IntegrityBC and the Dogwood Initiative have both further identified lists of suspect donations and handed the information to the RCMP. Recently, former Montreal mayor Michael Applebaum was sentenced to one year in jail on corruption-related charges. The Globe and Mail reported that, during the trial, former aide Hugo Tremblay testified he led developers and businessmen to believe their projects would be delayed or not approved unless they made a supplemental cash contribution that was then split with Applebaum. With all the big money legally allowed to be poured into provincial and municipal election campaigns in BC, one could compare BC to Quebec before efforts to stem corruption were implemented. The civic rules are even less accountable than the BC provincial rules. Civic parties and candidates can accept unlimited corporate, union, individual and foreign donations. They also only have to disclose donations in the year of the election. So three of the four years of donations in a municipal election cycle could go unreported unless done voluntarily. Property developers are prominent donors to Vision Vancouver and NPA, but Vancouver Greens do not accept funding from developers. The BC NDP have brought several motions to parliament for campaign finance reform that have always been defeated by the BC Liberals. All parties in the City of Vancouver council have, on numerous occasions, unanimously asked for the province to change municipal campaign finance rules, but the province has so far refused to do so. The BC NDP have said they would ban corporate and union donations with limits on individual donations. They also are willing to change the municipal rules to match. The BC Greens have said they will do the same. The BC Liberals have refused to make these changes, but after a lot of pressure, they have announced they will initiate a go-nowhere, non-binding review of campaign finance. In this election, it is critical to put pressure on all parties and candidates to seriously commit to campaign finance reform to stop the current practices that breed systemic corruption. Only the provincial government can change these rules for both BC and the municipal governments. For the sake of democracy, the people of BC deserve better. A change of government would be refreshing.